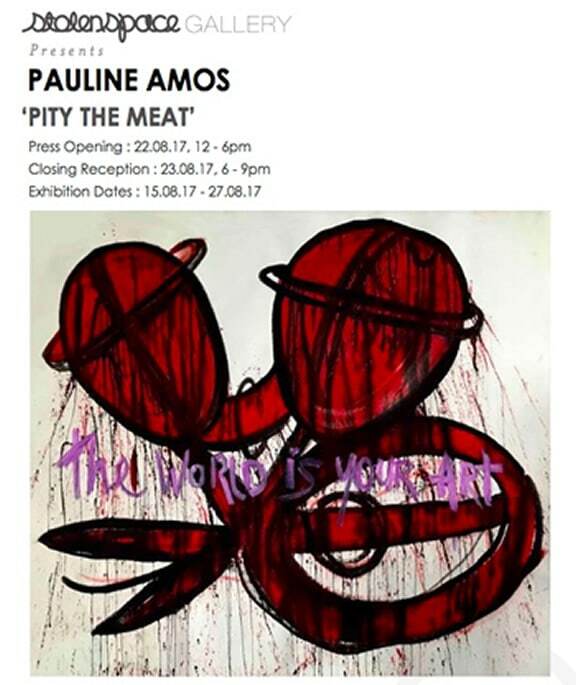 In a unique work created for Stolen Space gallery London, the internationally acclaimed artist Pauline Amos will perform ‘live’ in the gallery over 5 days, and work on a new painting, 40 feet by 12 feet, as part of her new exhibition ‘Pity The Meat’ 15 – 24 August 2017. In a performance work, there is something called ‘presence. A definition of presence and what it ‘is’ not a simple task. Only the actuality of presence defines presence in the actual experience. A performance work has two possible extremes; the self as the instinctive and primitive animal; reacting and responding with fight and flight; and the human with ego and consciousness, considering the moments and next actions. In a performance, these two ‘places’ on the same spectrum are held in equal importance. The raw, exciting and passionate instinct interacts with the thoughtful, composed and ‘learnt’ behaviour. 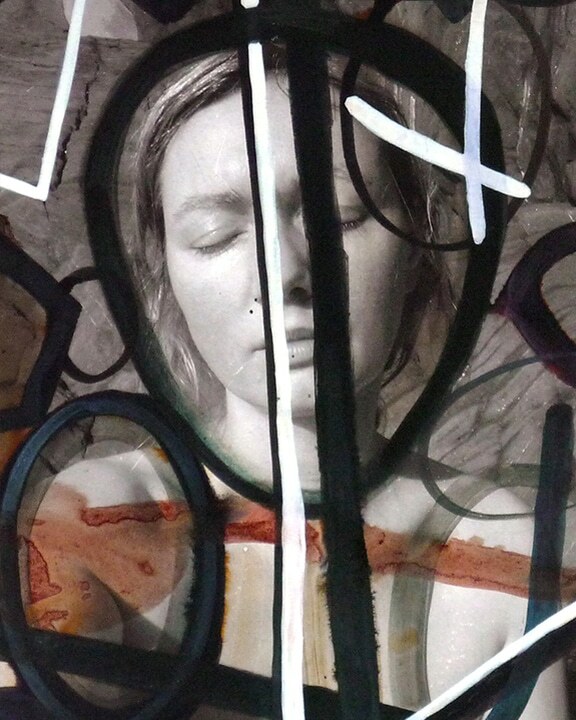 Bouncing between two areas of human and animal, focusing on the connection between these two states of being, places the tension of the beast and the consideration of the human into the performance and thus into the painting. The work is ‘with me’ and not as something separate or apart from me.